Townline Elementary School is guided by an Artful Learning Model using inquiry and the arts as vehicles for learning across the curriculum. It provides an opportunity for learners to construct meaning principally through concept-driven inquiry. Through the universal concepts studied with artful learning, students extend their appreciation of the broader world while developing a respect and understanding for other cultures. 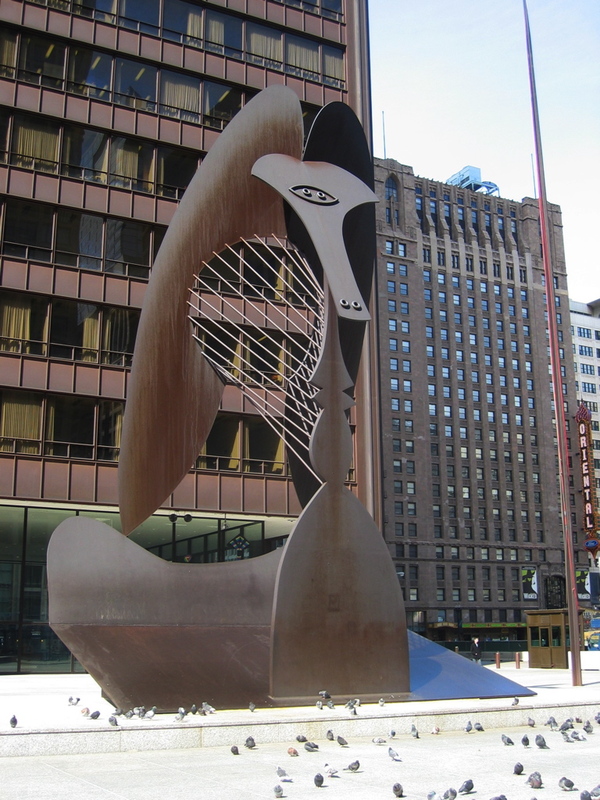 Utilize the arts and the artistic process to reinforce teaching and learning in all subjects. Develop interdisciplinary units for students aligned with Common Core State Standards (CCSS) and Understanding by Design (UbD). Motivate all students to form a lifelong love of learning. 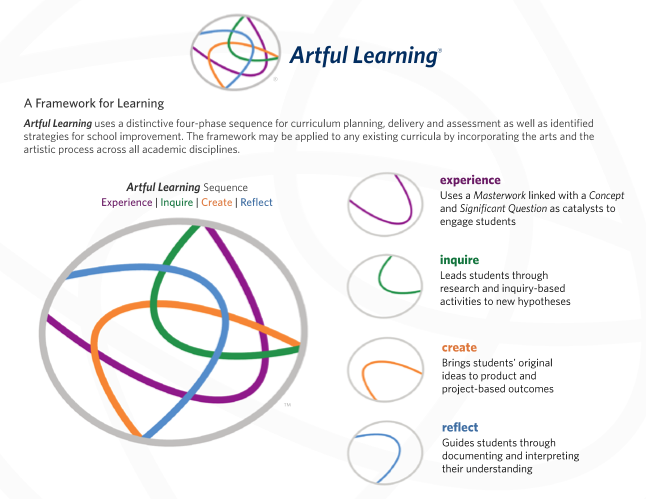 The Artful Learning Model underscores what good teachers know about teaching-learning springs from engaging experiences. As a result, test scores in Artful Learning schools already prove the validity of this theory. Experience- Students are introduced to a “masterwork” exposing them to rigorous and important ideas and classic works, thus creating an engaging experience. Inquire- Students are interested when they are invited to inquire, ask questions and deepen their understanding. Create- Students start to love learning when they actually create something. They enjoy active, hands-on involvement in producing something of value. Reflect- Students learn more and can apply it when they reflect thoughtfully through deepening questions on what they understand. Significant Question: What types of connections do we make at home, school, the community and the world around us? Does who you are determine your relationships? Will you follow the crowd or march to your “own beat”? Significant Question: How do your words and actions show respect in relationships? Significant Question: Do we have the power to shape our world? Significant Question: Do people ever change who they are and what they believe? Significant Question: Is there ever more than one right answer? Significant Question: How do today’s actions affect tomorrow? How do my actions shape the footprints I leave behind? Significant Question: Do a person’s actions always show what they value?